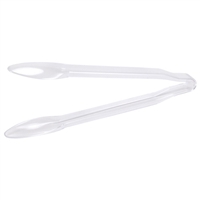 12" clear plastic serving tongs. Made from food safe, BPA free plastic. 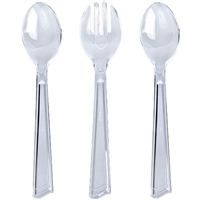 Plastic 3 piece set of clear serving utensils. Comes with fork and two spoons. Made from food safe, BPA free plastic. 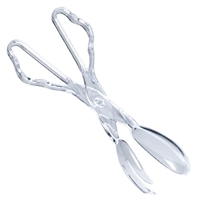 Clear plastic salad tongs, one set. Made from food safe, BPA free plastic. Clear ice tongs. Made from food safe, BPA free plastic. Tongs come in packs of two. Miniature plastic forks come in packs of thirty-six. Forks come in silver, clear, or white. 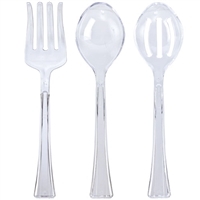 Plastic 3 piece set of clear serving utensils. Comes with fork, spoon, and slotted spoon. Made from food safe, BPA free plastic. White serving set includes two spoons and a fork. Made from food safe, BPA free plastic. 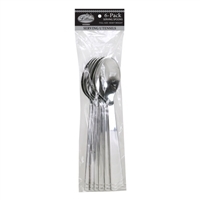 Silver plastic 10" serving spoons. Made from food safe, BPA free plastic. Spoons come in packs of six. 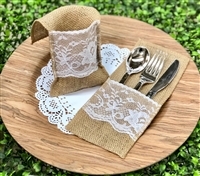 Burlap Cutlery Holder 9" (10PCS) DOES NOT INCLUDE CUTLERY! 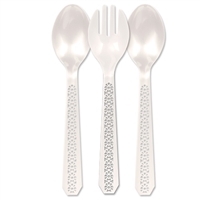 Plastic silver cutlery set with 8 spoons, 8 forks, and 8 knives. Food safe, BPA free plastic. 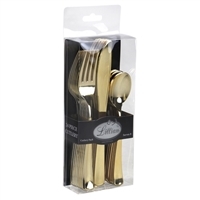 Plastic gold cutlery set with 8 spoons, 8 forks, and 8 knives. Food safe, BPA free plastic. 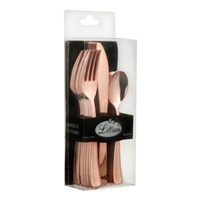 Plastic rose gold cutlery set with 8 spoons, 8 forks, and 8 knives. Food safe, BPA free plastic. Beach Theme Knife Set. Large Knife: 13" Small Knife: 10.5"
Butterfly Knife Set. Large Knife: 13" Small Knife: 10.5"
Double Heart Knife Set. 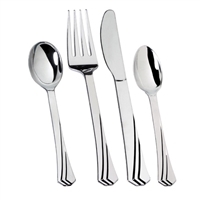 Large Knife: 13" Small Knife: 10.5"
Silver plastic cutlery set, 144 pieces, serves 36 people. Comes with knives, forks, soup spoons,and teaspoons. Made from food safe, BPA free plastic.